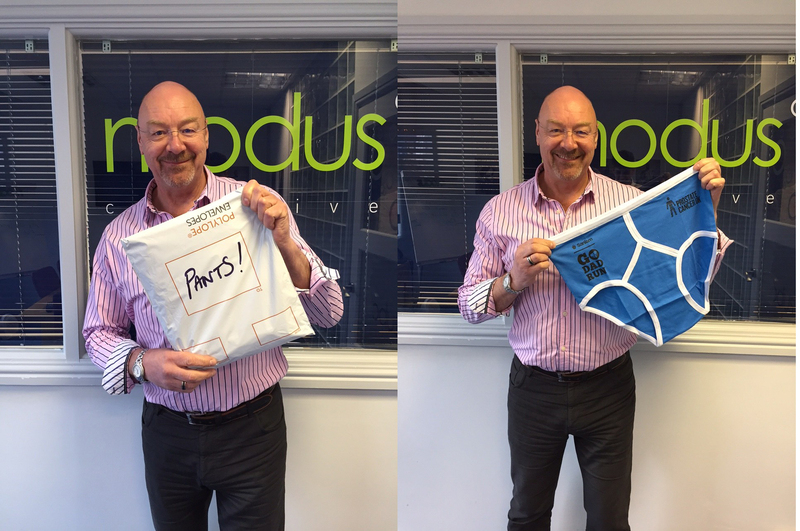 Modus are delighted to have ‘supported’ running in ya pants as media partner for the Worcester leg (or should it be 2 legs!) of Sanlam’s Go Dad Run Prostate cancer campaign. MORE PANTS You may remember that, back in 2014, Sanlam launched Go Dad Run in association with World Champion athlete, Olympic Silver Medallist and World Record holder Colin Jackson. 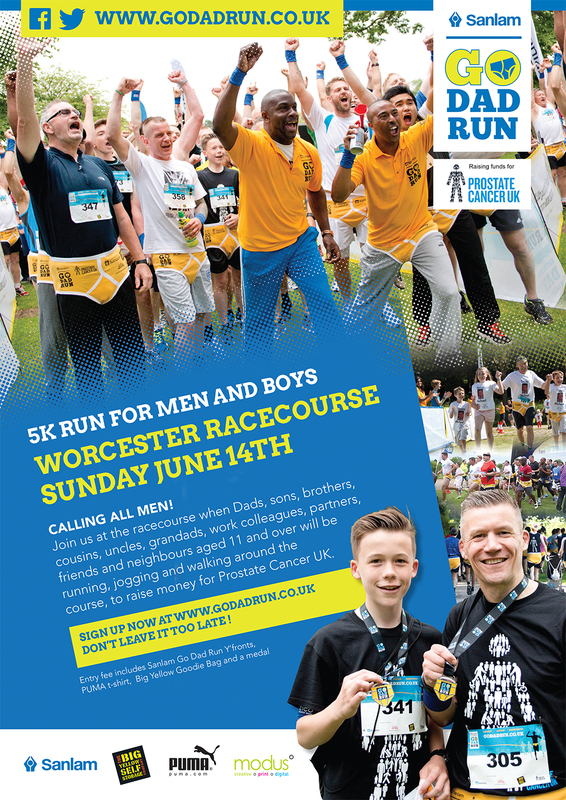 They noticed that there was no male equivalent to Race for Life and wanted to fill that void, creating awareness of men’s health issues and specifically raising funds for Prostate Cancer UK. So that’s what we did. Prostate Cancer is a terrible disease that affects more than 1 in 8 men in this country; and beyond that it affects every woman and child associated with them. But it is something we can do something about and, with your help, we are determined to do so. 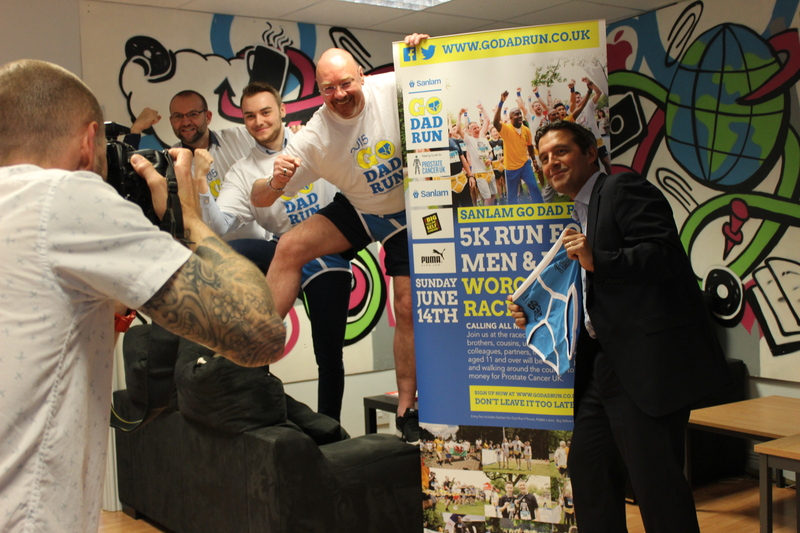 Sanlam’s Go Dad Run 2015 is a series of 5km fun runs for men and boys, being run in June on and around Father’s Day, full details of which can be found at http://www.godadrun.co.uk and via our social media feeds. The events will be held in Worcester, Cardiff, Bristol, London, Llangefni and Warrington (in partnership with Warrington Wolves as part of the Rugby Football Leagues Prostate Cancer Campaign). To register go to godadrun and run in ya pants!